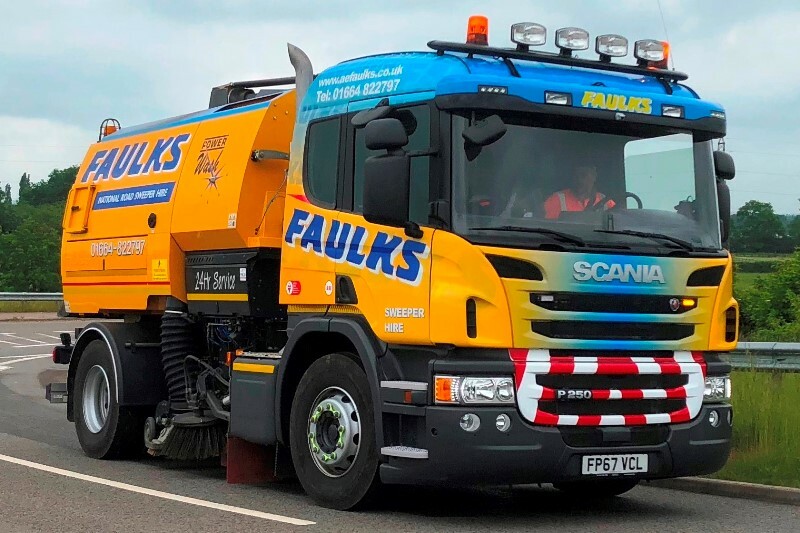 Here at AE Faulks Ltd we have a wide range of construction plant and equipment for hire throughout Warwickshire on an operated or self-drive basis. 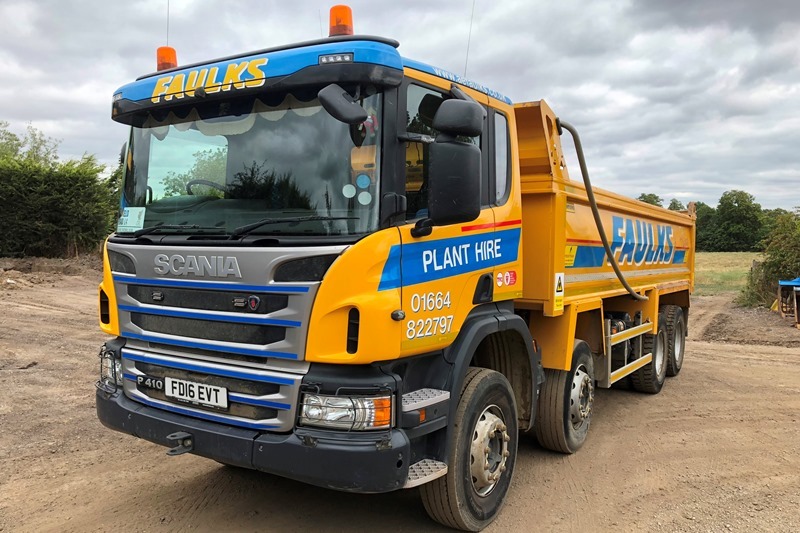 Whether you require plant for excavating, shaping and trimming, haulage or compaction we have the suitable solution for your needs in the Warwickshire area. These reliable excavators are available on an operated or self-drive hire basis. From 8t to 24t, they are designed to meet the criteria of the job no matter how challenging the environment. We can provide both standard and zero tail swing options either on steel or rubber tracks. 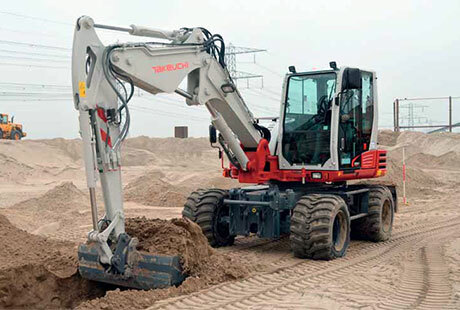 Find out more about our reliable tracked excavators here. 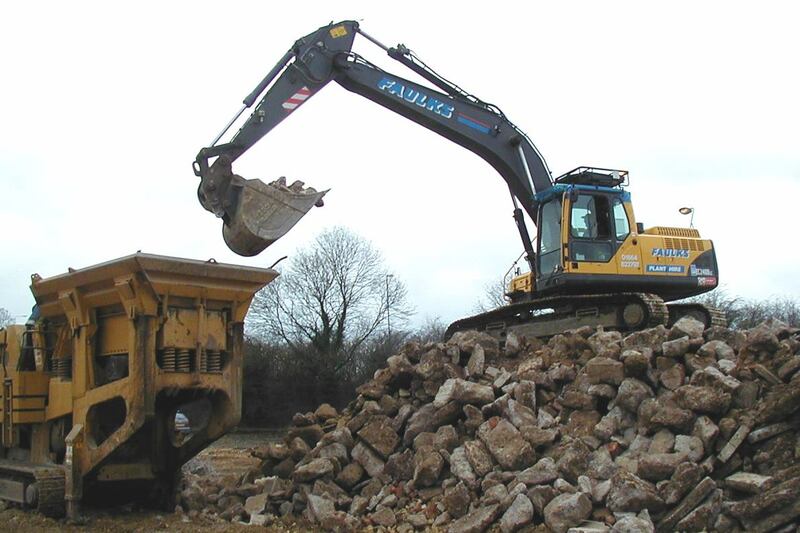 When you hire a wheeled excavator from AE Faulks Ltd, you get the benefit of versatility and mobility with a range of attachments to choose from. We currently offer our wheeled excavators in the 10t to 19t range. Find out more about the available excavator specifications here. 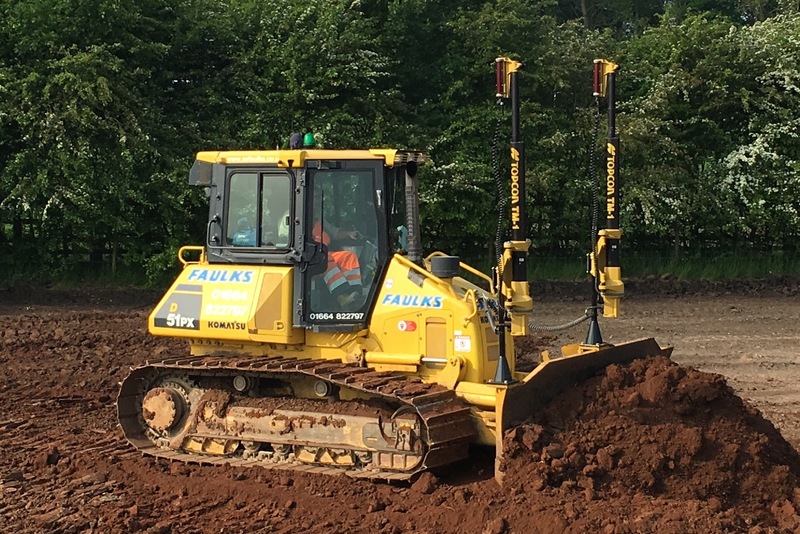 Choose AE Faulks Ltd for high quality dozers that continuously performs across all tasks from site strip to final trim, in all types of terrain. Our dozers are 2D/3D and GPS ready meaning greater productivity and cost reduction. Fitted with low ground pressure tracks these dozers can perform in the most demanding of site conditions found in Warwickshire. 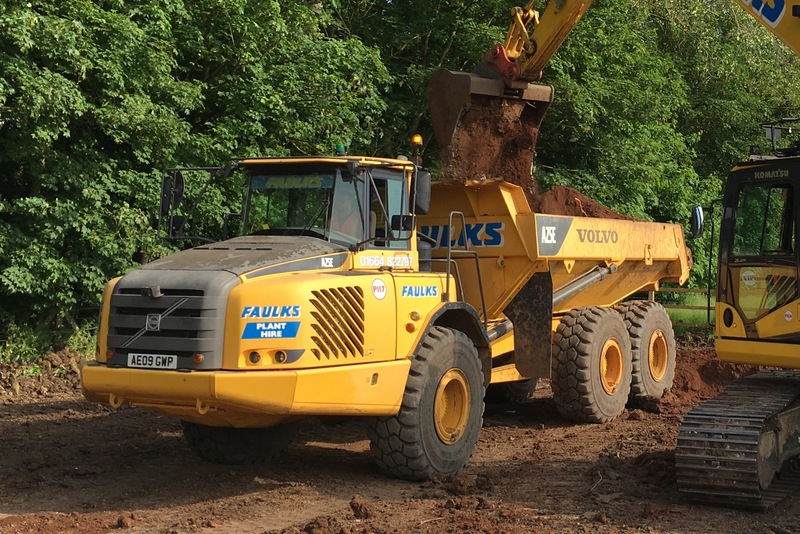 Hire the Volvo A25 from AE Faulks Ltd and experience a true quality dumptruck that not only handles high volumes, but can also perform at impressive speed over the roughest of Warwickshire terrain. 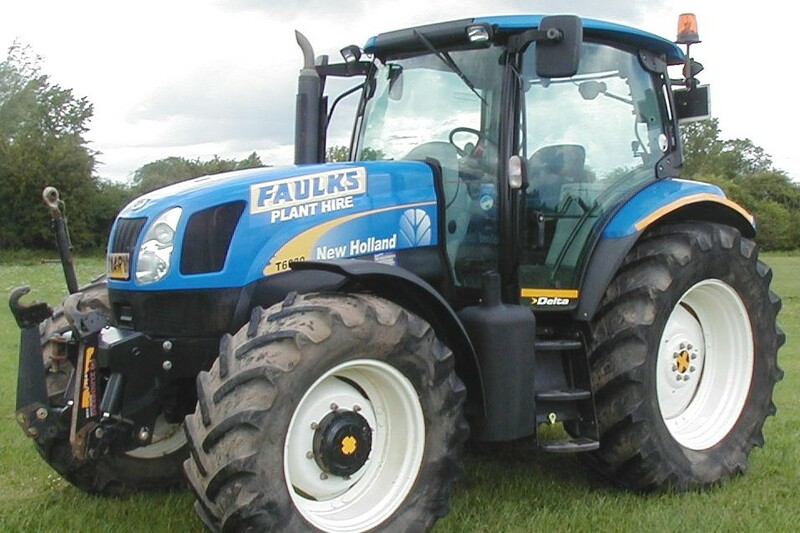 Whether you are looking for a compact and manoeuvrable tractor like the New Holland T6.160 or a larger, higher torque tractor, like the New Holland T7.185, you’ll find something to suit at AE Faulks Ltd. We can provide a range of attachments, such as dust suppression bowser and vacuum tanker hire, that make these tractors a very versatile and highly productive piece of equipment. Our fleet of steel bodied tipper lorries is available on a contract or hourly-hire basis for the disposal of inert, non-hazardous and hazardous soils. Our lorries also boast the latest safety features, such as 4-way cameras and ‘under-run’ guards. Request a quote online or contact our team of experts on 01664 822 797 (option 3) to discuss the specific requirements of your project. Whether you need to sweep roads, construction sites, industrial sites, car parks or carry out post-event clean up, our fleet of operated road sweepers have the necessary attachments and state-of-the-art safety features to undertake the work efficiently. Contact us on 01644 822 797 (option 2) to discuss your requirements or request a quote online today. Call us on 01664 822797 or complete our quick online quote form to receive your no obligation quote today.